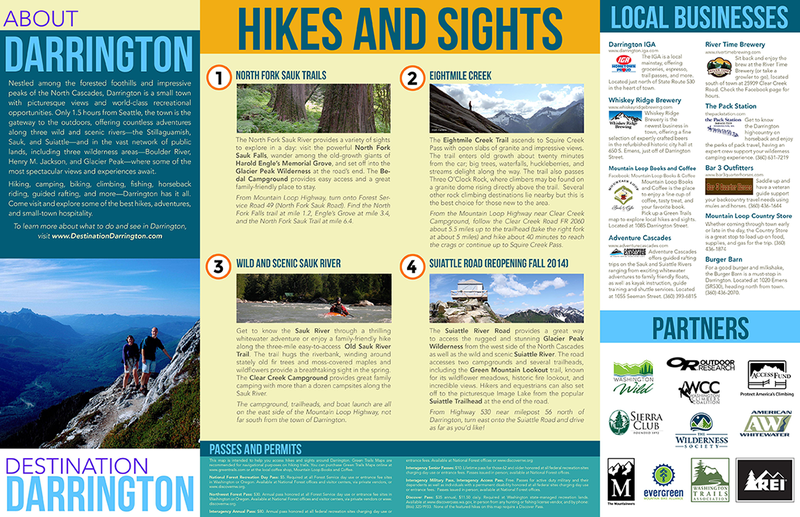 Last week I was hired by a consortium of non-profits to make a map and brochure of recreation opportunities in Darrington, which has been economically devastated by the tragic slide in Oso. We went from initial concept to final product in less than six days! 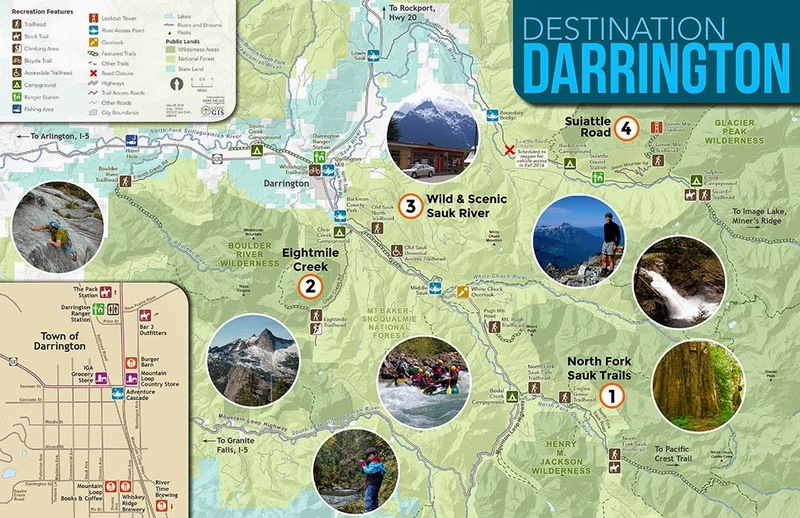 Senator Murray has been promoting the Darrington area and the map is part of the larger effort to get tourists to visit this summer. There is a front-page story about it in the Everett Herald today, And here is the newly created site where you can check out the map. REI will be printing 20,000 (!) of these maps and distributing them for free from their stores throughout Washington.